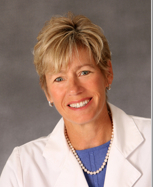 Dr. Vivian Ebert has been a chiropractic physician in Southwest Florida for more than 30 years. She practiced for 27 years in Naples and recently opened LivingWell Chiropractic in the Bonita Springs-Estero area. She attended Logan Chiropractic College in St. Louis, Missouri, where she graduated as a Chiropractic Physician in 1981. Dr. Ebert completed a post-graduate certification program in Sports Medicine and is currently in the Diplomat program in clinical nutrition. 1989. She also co-founded the Naples Executive Women’s Golf Association and currently is the recruitment director. She was recently honored as the outstanding chiropractic physician of the year in Southwest Florida by the Florida Chiro- practic Association. Offering modern chiropractic, massage, nutri- tion and a new weight-loss program with a well- ness approach, her office focuses on pain relief for patients with musculoskeletal conditions. Dr. Ebert gets patients out of pain and corrects the problem while restoring health and lifestyle. "American Clinical Board of Nutrition"